Sri C.S. Ayyar worked all his life, from the time of gradation with a degree in mathematics from presidency College, Madras, to the time of retiring from service as the Accountant General in the Government Railway Service. His books are the result of his passion carnatic music in general and the violin in particular, which resulted in an essentially parallel life outside his career in the railways. The scientific approach in his expositions on carnatic music is only is only to be expected, considering that his younger brother C. V. Raman and his son S. Chandrasekhar are the two Indian physicists to have been awarded the Nobel Prize. He has contributed articles on music in various journals and magazines. His books on music include two volumes, - 108 kritis and 120 kritis respectively, of Thyagaraja, - in Devanagari script with gamaka-notations. His lecture-demonstrations were well received and commended. C.S. Ayyar was probably proudest of the fact that he was the prathama-sishya of Sangita Kalanidhi Sri T. S. Sabesa lyer. He later enlarged his repertoire under the tutelage of Vidwan Sri Tiruparkadal Srinivasa lyengar, an eminent violinist of his times. Ayyar did rigorous sadhaka on the violin. C.S. Ayyar was one of the founder-members and a member of the Experts’ Committee of The Madras Music Academy. The extent to which the entertainment value of music is subjective i. e., dependent on human factors varying from person to person, or objective i. e., independent of personalities but depending only on physical characteristics of music, has been the theme of much enquiry and discussion among both the professionals and the critics of this fine art. Music in its sublimity has a strong appeal not only to this aesthetic appreciation of the individual but also to the emotional and can stir them to the greatest depths. In the relation between music and its effect on emotions, the sense of words, the accompanying pattern of musical tones and their associations to the particular individual are now beyond exact analysis and such effects of music can therefore be regarded as largely subjective, that is influenced greatly by the conditioning of the subject who is listening to music The rendering of good music also undoubtedly requires conscious, subconscious and intuitive skill on the part of the individual musician rendering the piece and to that extent is subjective. All the same, as a preliminary to good music reaching the heights of sublimity, it should have the physical acoustic characteristics necessary to produce certain specific effects in the human auditory apparatus. As an engineer, believing in the ultimate possibility of analysing and codifying in a scientific manner whatever appeals to our senses, I am one of those who consider that good music must have certain consistently definable characteristics both in its method of production and in its effect on the physical mechanism of the human ear in order that it may appeal to the generality of listeners. In other words, the emotional effect of music is largely subjective. The aesthetic effect is partly subjective and partly objective . In the aesthetic rendering of music, vocal or instrumental, the border line between the definable and undefinable acoustical characteristics gets gradually shifted as we advance in our scientific knowledge of the acoustic properties of the voice and instruments producing music and of the response of human auditory mechanism to musical phrases. Mr. C. S. Ayyar is one of those who not only believe that what is pleasing to the ear should be capable of being analysed in a scientific manner but also has been ardently practising Karnatic music on the violin for some decades and studying the rendering of music on other instruments with a spirit of persistent enquiry. Of the two schools of Indian music, the Hindustani and Karnatic, the analysis and codification has in general been followed in a more rigorous manner in the latter school. Sri Tyagaraja is one of the greatest composers of Kartnatic music. His kritis opened to Mr. C.S. Ayyar a wondrous world of sound and led him to a careful study of the musical sounds and musical graces on his violin over a number of years and have also made him publish two commendable volumes of Sri Tyagaraja’ s kritis in Devanagari script with full notation for the use of appropriate graces (Gamakas) in their rendering. 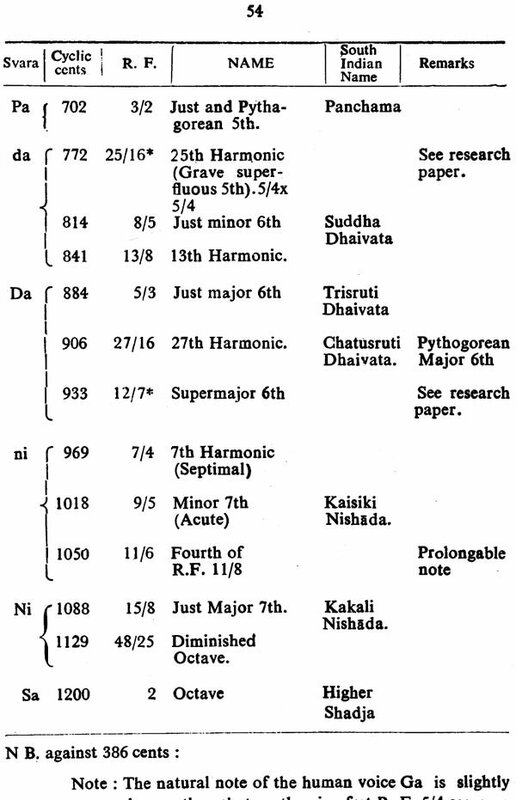 The result of his study of musical graces have shown him that the 22 srutis with their commonly accepted definitions are inadequate for bringing forth the full aesthetic effects of Karnatic music and his views have been briefly summarised in the present book, which is bound to be of value to all those who approach music with a spirit of enquiry and analysis. I trust this book will also prove valuable to foreigners who are now taking increasing interest in Indian music. In the ultimate analysis, Mr. C.S. Ayyar has struck the key note in the statement in defining the characteristic of Indian music in the widest sense, we have to talk not of srutis in plurality but of really one sruti which is that of the Tambura. This is the background cyclic drone with which every bar, glide and burst of music produced must blend perfectly in the resultant effect on the human ear. There is no doubt that more and more scientific support will be forthcoming n future for Mr. C. S. Ayyar’s observations on musical graces in Karnatic music. 1. I am grateful Sri S. S. Moorthy Rao for his readyr esponse to my request to write a foreword to this book. 2. He is an amateur flutist, and the reader will note Sri Rao’s familiarity with the scientific aspect of music. 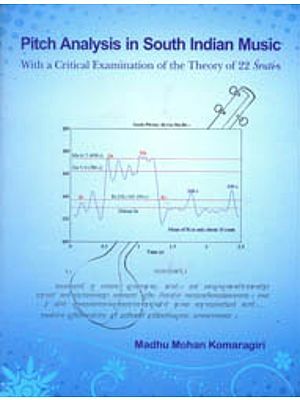 The object of this small book is to enable students of Karnatic classical music, both vocalists, veena players and violinists to understand the scientific principles underlying musical notes (svaras) produced by them in the melodic art and it formed the subject of a lecture on 18th April, 1959 at the Central College of Karnatak Music, Mardras, with a demonstration on the violin. 2. Much of the material in this book is available in the author’s “The Grammar of South Indian (Karnatic) Music”, (First Edition 1939 ) second Edition, practically a reprint, 1951. It was written in a diffuse and discursive manner and a spirit, challenging, (1) the statement regarding the South Indian veena in Captain C. R. Day’s book “The Music and Musical Instruments of Southern India and Deccan” Page 32. 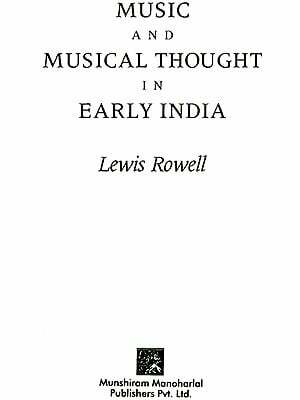 (2) the theory of Indian music expounded by Fox Strangways in his “The Music of Hindostan” (1914) and repeated in his article on music in the book “The Legacy of India” (Clarendon Press, 1937) Page 311 et. Seq., and referring to he author’s researches in present day music by modern scientific methods. 3. 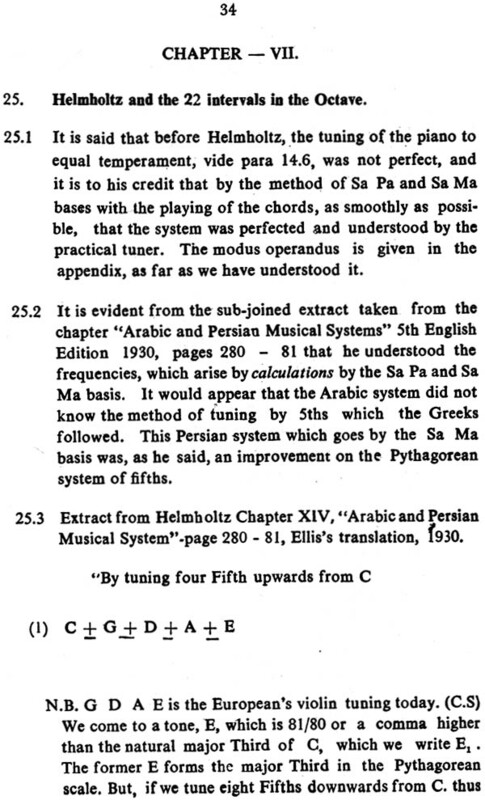 In the author’s English preface to his book “108 Kritis of Sri Tyagaraja, Text & Notation (Sa Ri Ga Ma ) in Devanagari Script with ‘gamaka signs’ (1955)” the principles in his above book were explained further with reference to gamaka sings adopted therein for violin technique to enable Karnatic music to be written and to be ‘read’ with a fuller meaning and comprehension, than hitherto. 4. This book should interest also students of Hindustani music. Further, students of acoustics in the University classes may be able to correlate the statements in English Text books on ‘Sound’ and allied topics re. The piano, with their own Indian music, if they should possess some talent for singing, even though not specially educated in the melodic art. 5. 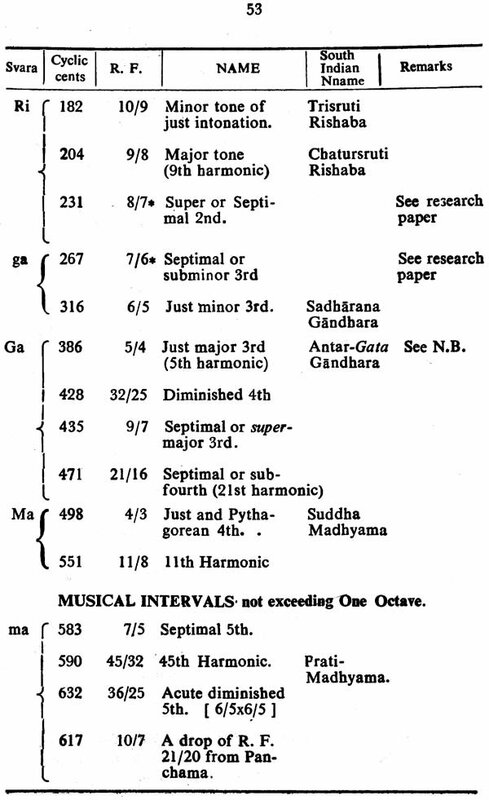 The amazing genious of Helmholtz (1821-1894), almost a contemporary of Tyagaraja, (1767-1847) in the study of melody has really lit the true science of South Indian music. 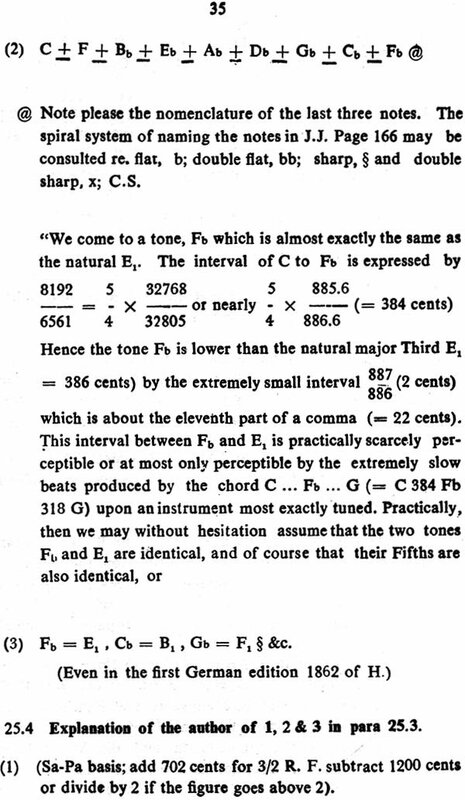 A study of this book will hush up, it is hoped, the colossal fiction of the so-called “22 Tone Indian Scale” of music.